According to a Forbes report, there are nearly 15 million millionaires globally, with more than 5 million located in the US and Canada. Previously, CCN reported that billionaire investor and hedge fund legend Mike Novogratz has predicted the price of bitcoin to easily surpass the $40,000 mark by the end of 2018, in the short-term. The basis of Novogratz’s prediction is the entrance of tens of billions of dollars from the traditional finance industry and institutional investors into the bitcoin market through bitcoin futures. “Bitcoin could be at $40,000 at the end of 2018. It easily could. There’s a big wave of money coming, not just here but all around the world,” said Novogratz. The Chicago Board Options Exchange (CBOE), which has become the first major options exchange to list bitcoin futures on December 14, has already demonstrated a rapid increase in demand from institutional investors and retail traders. On the CBOE trading platform, bitcoin is being traded with a $1,000 premium. XBT/H8 is currently being traded at $18,900, more than $1,070 higher than the price of bitcoin listed on US-based bitcoin exchange Gemini, the official partner of CBOE. 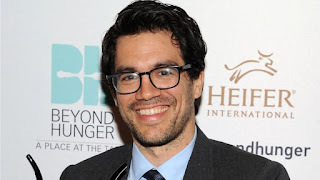 Tai Lopez noted that if a small portion of the assets of millionaires globally is invested into bitcoin in the upcoming months, the price of bitcoin “would be justifiably be around $60,000.” Given that the adoption of bitcoin as a store of value and a medium of exchange within the global finance market is increasing exponentially, $60,000 remains as a viable mid-term price target. More importantly, as Novogratz emphasized last month, bitcoin is fundamentally and structurally different than other commodities because there exists no supply response. As such, more high profile investors and large-scale traders are likely to invest in bitcoin in the short-term. “What’s different about these coins than other commodities … there is no supply response here. So it’s a speculator’s dream in that as buying happens there’s no new supply response that comes up. So every price move gets exaggerated. It’s going to get exaggerated on the way up. There will be 50 percent corrections. It will get exaggerated on the way down,” said Novogratz. The market cap of bitcoin as is cycurrent is above $300 billion or $0.3 trillion. In order for the market valuation of bitcoin to surpass the $50,000 mark, the market cap of bitcoin needs to achieve $1 trillion. Analysts including Coinbase CEO Brian Armstrong have emphasized on several occasions that approximately $10 billion in institutional money is awaiting to be invested in bitcoin. But, the daily trading volume of the global bitcoin exchange market is more than $16 billion, which is substantially higher than the amount that will be invested by institutional investors by the end of 2018. For the price of bitcoin to hit $60,000, both small and large investors will need to invest in the cryptocurrency in the next few months, driving the adoption of bitcoin as a widely recognized store of value and currency.